This heater is your solution to the chilly fall or cold winter nights. 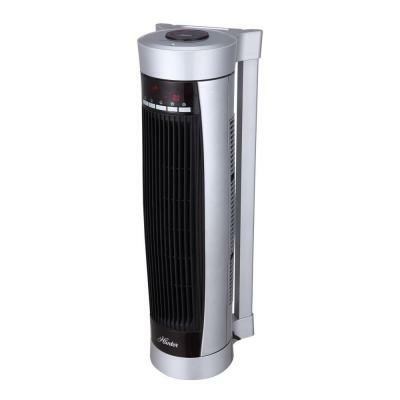 The Hunter Vertical and Horizontal Oscillating Digital Ceramic Tower Heater is extremely versatile. Not only does it have the oscillation feature to spread heat evenly throughout the entire room, but it produces heat at 900-Watt or 1500-Watt with full temperature customization. You can position the heater horizontally as a baseboard heater or vertically as a tower, which is great for smaller spaces. It comes with a remote control, along with a overheat safety feature which will turn the heater off if it gets to extreme temperatures. For added safety, it also has a cool down mode where the fan runs to cool off the unit before it powers down completely.